There will be 32 spots available. This is a RANDOM. Teams randomed via random.org. Spot price covers registered priority postage, toploaders, penny sleeves, padded envelopes and fees. All cards will be sent out. 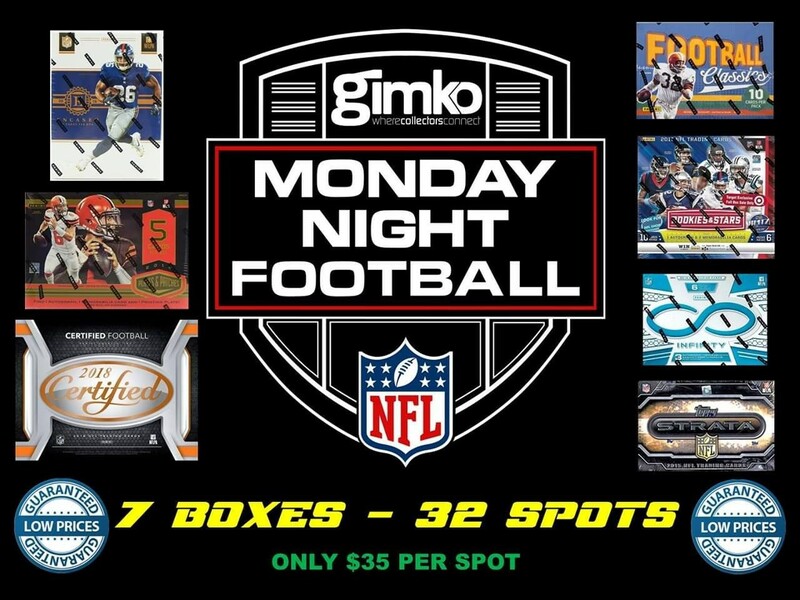 CHECKOUT GIMKO FORUM OR EUREKA SPORTS CARDS FACEBOOK GROUP PAGE for all information. Shipping is factored into the break price. Please note: In Australia, consumers are legally entitled to obtain a refund, repair or replacement from businesses for items they purchased if the item was faulty, didn't match the description or wasn't fit for purpose.